No magical vitamin or supplement will grow hair. However, a few vitamins exist that may promote hair growth more than others. Vitamins A, C, D, and B vitamins play active contributing roles in hair growth, and ensuring you receive sufficient amounts of these vitamins may help. A few vitamins have been studied and are suggested to aid in hair growth. 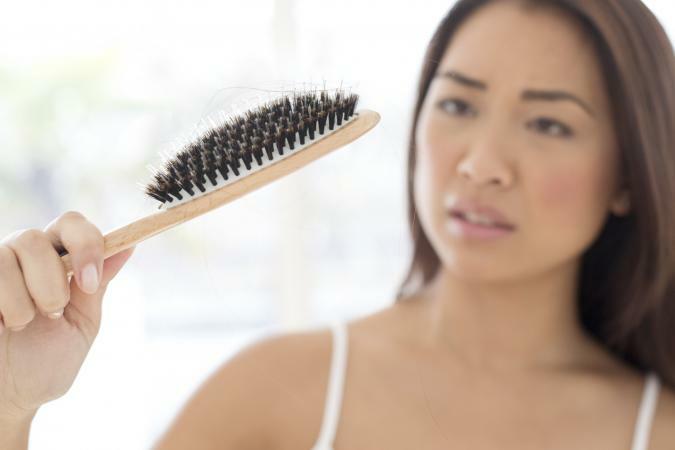 Additionally, deficiencies in many nutrients can result in hair loss. Some "hair healthy" vitamins include the following. Studies have found vitamin A helps to promote stimulation of the stem cells of hair follicles. Components of vitamin A including retinol, retinal, carotenoids, and retinoic acid all contribute to this process involved in hair growth. However, it has also been found that too much vitamin A supplementation can cause hair loss. This vitamin, also referred to as ascorbic acid, plays an active role in developing the hair shaft. The hair shaft is the hair above the skin's surface. Additionally, it is suggested a deficiency in vitamin C may be a contributing factor to baldness. A variety of B vitamins contribute to proper hair growth. Pantothenic acid, or B5, provides moisture to hair and helps cell division involved in hair follicle development. The B vitamin niacin helps keep hair in its healthy state. Additionally, biotin is a B vitamin with varied clinical results regarding hair growth. However, it is known biotin supplementation can aid hair growth in deficient individuals. Although not fully understood by researchers, it is established that vitamin D plays a role in hair follicle cycling. However, due to a lack of clinical studies it cannot be confirmed if vitamin D supplementation would directly improve hair growth. Although no single vitamin will make hair grow, vitamin deficiencies are common culprits of hair loss. Therefore, ensuring you are getting enough of the necessary vitamins through diet or supplementation will help promote hair growth, prevent deficiencies, and may even help grow some back. Male vitamin Recommended Dietary Allowances (RDA) for ages 19 and up include the following. However, to supplement vitamins safely, never exceed to upper limit. The recommended RDAs for females ages 19 and older are as follows. However consuming above the upper limit can be harmful. Consuming the recommended amounts of vitamin A, C, D, and B vitamins through foods or supplements can ensure any deficiences are resolved and may promote hair growth. No supplement is available that will instantly regrow hair. However, taking a multivitamin with the above vitamins may help ensure you are getting amounts of vitamins to help hair along. Pure Encapsulations Hair/Skin/Nails Ultra - This supplement contains vitamin C and some excellent B vitamins. Although it is missing vitamins A and D. This can be an excellent vitamin if you are getting enough A and D from food sources and sunlight. Pure Encapsulations recommends 2 pills a day for supplementation. Nature's Bounty Optimal Solutions Hair Skin & Nails Extra Strength - A more affordable supplement option is Nature's Bounty. This supplement contains vitamins A, D, C, and B-complex vitamins, as well as many others. Nature's Bounty recommends a dosage of three capsules; however, even just one a day would be sufficient. Vitamins, as well as many other nutrients, play important roles in the growth and function of the human body; this includes hair growth. Although no single vitamin is designated for hair growth, vitamins A, D, C and B are reported to play a role in that growth. Adequate consumption of foods high in those vitamins or supplementation may help.